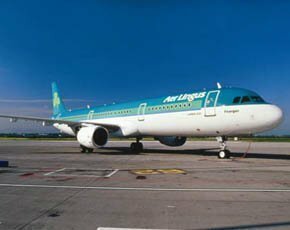 Irish airline Aer Lingus has deployed 80TB of Tegile hybrid flash storage, in preference to adding to its existing IBM and EMC storage estate, in a €500,000 project to support a number of virtualisation and mobile device roll-outs. The Irish airline’s chief technical officer (CTO) said Tegile was the cheaper option and was easier to deploy into a complex existing storage architecture. Aer Lingus – which operates 58 aircraft on 116 routes and serves more than 11 million passengers annually – had embarked on a number of projects for which it needed to expand its storage provision. These included: migrating from Microsoft's Windows XP operating system (OS) to Windows 7; digitised aircraft records; aircrew iPad provision for paperless cockpits; upgraded customer databases; implementation of Oracle ERP systems for ground operations; and a staff mobile device roll-out. While unable to migrate away from IBM and EMC storage for some use cases, such as mainframe-based systems and databases for passenger reservation systems, Aer Lingus – which has dual datacentres operated by IBM in Dublin – looked around for alternative storage suppliers and chose Tegile on the grounds of cost and functionality, said CTO Ravi Simhambhalta. He said: “Obviously if we need more mainframe storage we use IBM and certain elements of the reservation system need to stay on EMC, but Tegile is now the first system we go to for new storage environments because we get the same performance as from the IBM and EMC but it’s cheaper. “Licensing is a lot more expensive with IBM and EMC,” said Simhambhalta, but speed of provisioning new storage was also important for the airline. So, what exactly is it about Tegile that makes it quicker to provision? “We can churn out storage, for virtual desktop and business intelligence environments for example, much more rapidly on Tegile, said the CTO. “It’s about how quickly you can get into admin consoles and provision. Simhambhalta suggested that bringing an entirely new component of the storage infrastructure allowed for greater ease of use than building into an existing setup that had grown into a complex architecture over time. Aer Lingus has deployed dual Tegile Zebi HA2800 hybrid flash arrays with expansion shelves to a total of 80TB at its two datacentres. The Tegile arrays use a combination of DRAM cache, MLC and SLC storage tiers and SAS spinning disk. Its controllers run a ZFS-based operating system (OS) adapted by Tegile to provide data deduplication, compression, RAID enhancements and a performance-boosting feature called Metadata Accelerated Storage System (Mass). Mass allows ingested data to be handled via just its metadata headers rather than the full copy, and these are kept in cache or the flash storage tier. This allows it to claim it can provide enterprise-level capacity and performance at around 10% of the cost of some of the big six suppliers’ arrays. Its Zebi HA series hardware range from the entry-level HA2100 with 600GB of flash and total capacity of 22TB raw (up to five times that with deduplication and compression) up to the HA2800 with 4,400GB of flash and 44TB of raw capacity (also up to five times that with deduplication and compression). Tegile arrays provide iSCSI, Fibre Channel and NAS connectivity.